Set away from downtown Nashville, the campus of Vanderbilt is quaint and cozy. 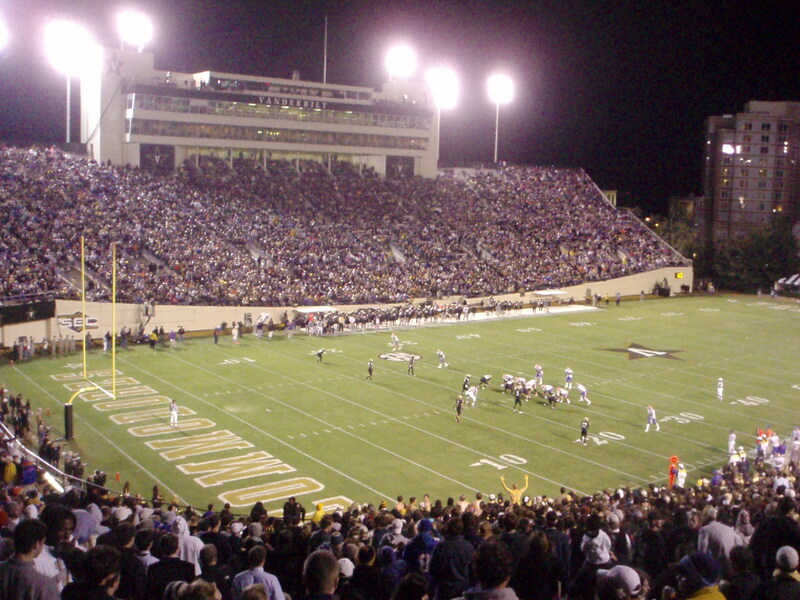 The same can be said for Vanderbilt Stadium, which certainly does not pose an intimidating threat. Beautifully set amongst the buildings on campus, the stadium does not possess the capacity power of its SEC brethren, but its fanbase is definitely loud and loyal. 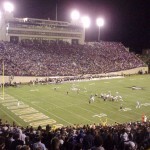 When entering Vanderbilt Stadium, the tradition and history of the structure can be sensed, but several losing seasons have diluted the enthusiasm. 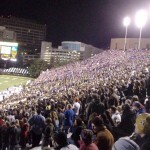 Often, Vanderbilt fans will be close to outnumbered by the opponent’s fans in the stadium. It’s not to say that they don’t care, rather, the fans here have come to understand what to expect and do not set their hopes high. Many Vanderbilt fans will express their discontent for the football program saying that consistency is challenging to maintain. 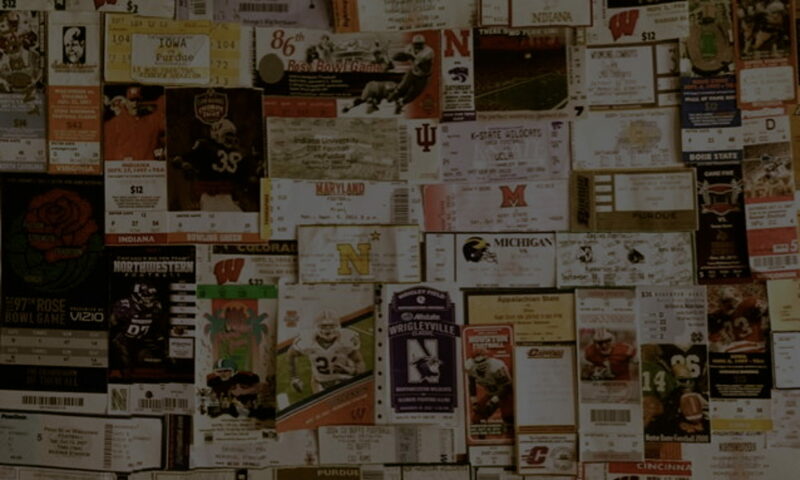 Living in the SEC isn’t easy when you are everybody’s little brother. 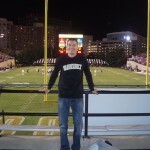 The fact is, Vandy has everything in place to be an outstanding program with an imposing atmosphere. 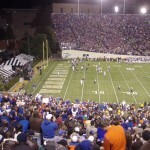 Fans get involved in the pregame tailgating party known as Vandyville. An hour before kickoff, the team marches across Jess Neely Drive through many fans into Vanderbilt Stadium in what is known as the “Star Walk.” The Spirit of Gold marching band forms the Vandy star at the onset of the game and welcomes the team amongs clouds of smoke. 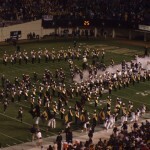 The band plays for fans around the stadium and the Commodore revs up a lively student body. 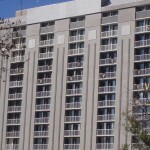 An old U.S. Navy foghorn blasts at every Vandy score. The ingredients are here for the black and gold. Until the team is able to pick up some winning consistency, the “Dores” will continue to get drowned out by the flash of Music City.